I am a HUGE fan of this series. Like borderline obsessed with it and I am not ashamed to admit it. I tell everyone to read it and that they will thank me for it later. After reading Sempre and Sempre Redemption, I wanted more. I was not ready to move on from this series. So when I heard that J.M. Darhower was releasing this sweet baby along with MADE, I damn near almost peed myself with excitement. In Friends Forever, we get two stories, not one. In the first part, Friends, we get to see the friendship of Nick and Carmine. We were introduced to Nick in Sempre, we knew that Carmine and he were best friends growing up and there was some sort of falling out between the two, but we never knew what it was over. Well we shall wait no longer, because in this story, we find out exactly WHY they hated each other. No in Forever, we got to see a glimpse into the future on what was going on with Carmine and Dominic. We also get a little bit more of Corrado and his wife. I loved these stories. At times I was laughing out loud reading them and the people on the train must have thought I was crazy. We get more of Corrado's dry sense of humor and I love seeing how Carmine interacts with him. You must pick this book up, if you are a fan of this series. Not to mention, the little incentive you have to grab it. IT'S FREE !!!!!! WOW..... MADE was everything I thought it would be. 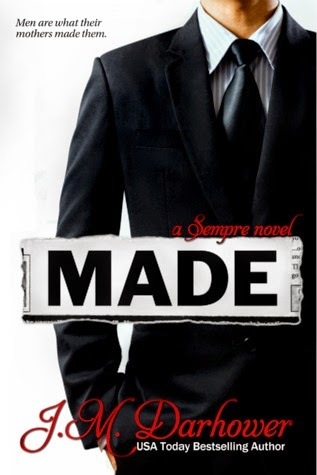 I loved discovering how Corrado was MADE to be the man we got to know in Sempre an Sempre Redemption. When I read the first two books in the series, I was left wanting more. I was left wanting to know more about the mysterious, Corrado Moretti. I wanted to know what made him tick. Why he made the decisions he did, why was he known as the Kevlar Killer. In Made we got to Corrado grow from a young boy, to the man he is today. I was sucked into this story from the first page. With every turn of the page, I found myself loving this man. Yes he was a killer. He killed people for a living, BUT I was able to see past that and actually LOVE the man that he was. Despite what Corrado did for a living, he loved his family fiercely. He would stop at nothing to protect those that he loved. This was one of the many reasons why I loved him. He was cold, calculated and never questioned the orders that were given to him from his boss, the head of the family, Antonio DeMarco. He was devoted to "the family". That was all he knew. That is what he grew up around. Reading the parts where Corrado was a child were truly heartbreaking. No child deserved to be treated the way he did. But knowing that he found happiness from a little girl that was his friend brought a smile to my face. J.M. 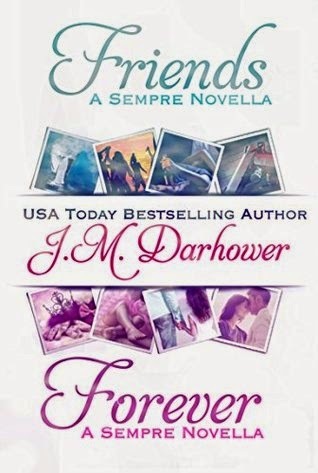 Darhower is AMAZING... She writes a great mob story like no other. Her books are long, and I love every page within her books. I find myself reading the books slower than I usually do just so I wouldn't miss any detail, or maybe that I just didn't want the story to end.